Julie Freedman, head of sales and marketing at Button-fix, discusses the evolution of commercial washroom spaces and how modern fixing solutions can provide easy access to vital pipes and fixtures for maintenance and repair in the latest issue of ABC+D magazine. 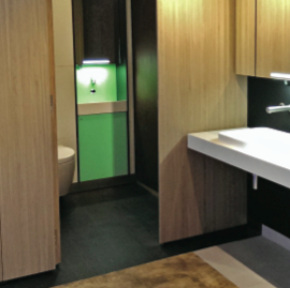 The sleek and minimal design of modern commercial spaces means that the majority of offices, hotels, restaurants, bars and shopping centres now opt to hide elements such as piping, plumbing and even cisterns behind wall panels within a washroom environment. By concealing major pipework, architects and designers are able to create aesthetically pleasing bathrooms in the most public of spaces. The clean, uninterrupted lines help achieve a crisp, unobtrusive finish that opens up a multitude of creative interior design options. This not only serves important aesthetic functions but there are also practical advantages of concealing pipework and plumbing within a commercial bathroom environment. Take, for example, the pattern of shrinking office space in the UK. The most recent statistics from the British Council for Offices (BCO) reveal that the average density of workplaces in the UK today has shrunk to 10.9m2 per workstation, down from 11.8m2 in 2008 and 16.6m2 in 1997. “By utilising fixing products that offer a removable feature, a high-quality appearance can be achieved and retained” Julie Freedman, Button-Fix. As office space becomes an increasingly scarce commodity, it is crucial for companies to make the most of every square inch. Concealing the pipes and plumbing of sinks, urinals and toilets behind wall panels saves on space and avoids employees feeling unnecessarily cramped. However, there is a downside to this increasingly popular trend. 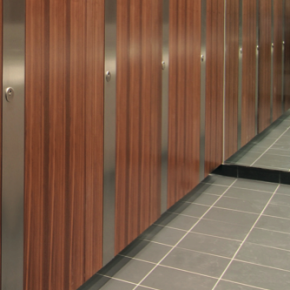 Traditionally washroom wall panels have been fitted to the wooden batons of studded walls using either silicon- based glue or screws. This is a continual source of frustration for tradespeople, maintenance workers and building managers who need regular and easy access to the piping and plumbing that lies behind such fitted washroom panels. Removing panels fitted with silicon glue or screws can be an arduous, expensive and time-consuming task. In a large washroom facility within a commercial office or service station there will be multiple toilets, urinals and sinks that, owing to their frequent use, need to be regularly serviced. 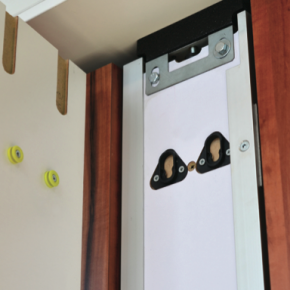 Having to unscrew and re-screw every individual screw fastening on multiple panels transforms what should be a routine service job into a time-intensive undertaking. Removing wall panels that have been set in place using silicone glue can be an even more convoluted process, requiring a messy re-application. The glue will need to be peeled away and excessive force may be required to strip the panel from the washroom wall. Moreover, additional glue and labour will be required to reset the panel once the service work has been completed. 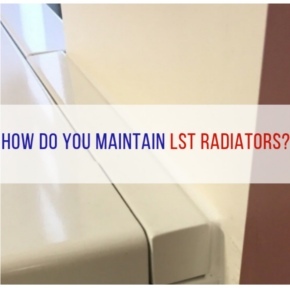 Such repeated re-screwing and re-setting of wall panels causes damage due to wear and tear. Also, screw holes will inevitably become more visible, glue residue more prominent and the wall panel itself noticeably more worn than surrounding panels – severely compromising the aesthetic appeal of the washroom facility. Even more pressing, if emergency repairs are required due to a burst pipe or other malfunction, it is imperative to gain access to the piping as quickly as possible. Having to forcibly remove or slowly and methodically take off the wall panels inevitably slows the process down and heightens the risk of incurring major and costly damage. 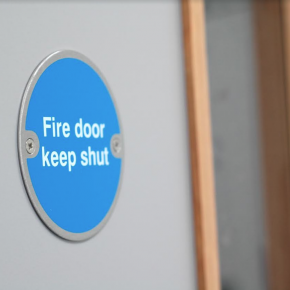 However, there is a fixing solution that enables tradespeople, maintenance workers and building managers to quickly, simply and seamlessly remove and reapply washroom panels, providing speedy access for repairs and maintenance. 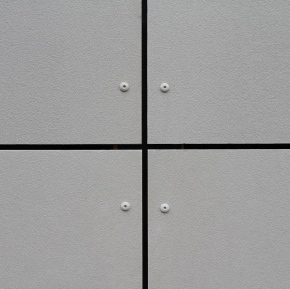 Consisting of a durable nylon button that is screwed to the washroom panel and nylon mating fix that is screwed to the application surface, washroom panels can be securely guided and snapped together with an audible click. By using a suction pad to pull away in the opposite direction of the fix, the panel can be easily removed for vital access to hidden plumbing works. 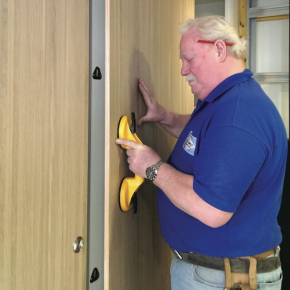 Provided that the screws and substrate are properly matched, a vertical washroom panel weighing as much as 200kg can be safely secured using just four fixes. Delivering a secret, invisible solution, such fastening applications offer a high quality finish, removing the need for visible screws, glue or inhibited access. Also, as no additional force, supplies or labour is required to reapply the wall panels, wear and tear, time on site, cost and disruption is minimised. The modern commercial washroom environment demands modern fixing solutions. 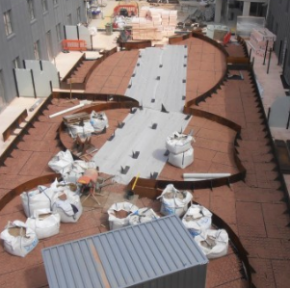 By utilising fixing products that offer a removable feature, a high-quality appearance can be achieved and retained, while ensuring access for essential maintenance and repair works.